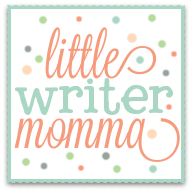 Little Writer Momma: Finding Time to Write...Suggestions Please! Grace, my beautiful friend. Give yourself some grace. That's number one. Next, you might have to explain to the girls that there is a certain time of the day that you "work". Set a timer and tell them that it's your "work" time and that they need to play by themselves during that time. The first few days might take work to get them trained...ahem...accustomed to this new bit of routine. But it will work. It is good for them to witness your discipline and dedication to the work that God has given you. Maybe start with 15 minutes and bump it up 5 minutes every few days until you've got a full hour to write. I write after my two boys go to bed - usually by 8 PM. If you only have a few "cracks" to write in, write in word or on another format you can save your thoughts on and then go back and work on it some more during your next break. When I find an effort quick to finish, I sometimes do two blog posts and save one for the net day. I like your blog and plan to read through some of your great ideas. Keep writing! 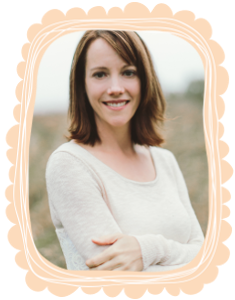 Hi Monica-- I love the idea of starting a word doc to put my thoughts in throughout the day...that is not something I have tried before and can definitely see it being beneficial!!! Thank you! Oh my heavens, you are reading my mind here. I have the same post drafted, waiting to be published, but guess what? Can't find the time to finish it! 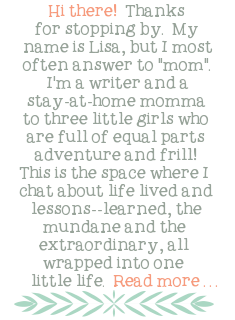 I am so discouraged with my writing, because with a 3 month old, a 4 and 2 year old and no childcare, I literally can't find any time to write. Not to mention, when I do find snatches or bits of time, I am so exhausted it feels like I can't get the creative juices flowing, you know? I'd love to get up early, but the baby still wakes and eats as he pleases, so it feels like a lost cause.